Hey! My old friend. Look at me. What a great response that I have received from you. 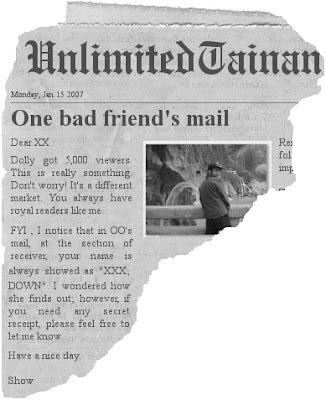 It supposed to be a complimentary letter to encourage an old hopeless friend; nevertheless, unlimited 賤 struck back on my dead body. I should have listened to my father's advice - never contend with a man with a sharp pen. With a friend like you, I do not need an enemy.